The Arcanum Wayne Trail Historical Society will celebrate its 15 years as a historical society with open hours during Arcanum’s Old Fashioned Days. ARCANUM – The Arcanum Wayne Trail Historical Society will celebrate its 15 years as a historical society. Special activities include open hours during Arcanum’s Old Fashioned Days, May 18 and 19 from 1-4 p.m. The society building is located at 123 W. George St. in Arcanum. Arcanum Wayne Trail Historical Society welcomes the community, and the event is open to the public. The building was once the Louis Deitrich Saloon and Hotel, and Arcanum Wayne Trail Historical Society has photos on display. Guests can see the before photos of the extensive renovation of the building, which was transformed through community effort. Stripping woodwork, removing wallpaper, fixing and painting walls have transformed the house into the beautiful building it is today as well as the interior furnishings and collections of southwest Darke County. The historical building will feature displays about the AWTHS original founders, history of the organization and building along with renovation photos. 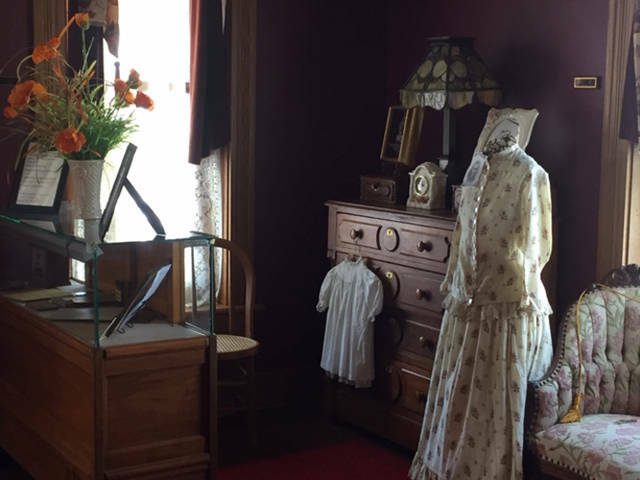 Guests can tour the house as well as view display cases portraying Arcanum School, old toys and business memorabilia. There is something for everyone of all ages to see. Visit Arcanum Wayne Trail Historical Society on Facebook and its website at www.arcanumhistoricalsociety.org to follow this event.